Terryville – Kazimir Paul Skrzypiec, 89, passed away on February 1, 2019. He was the husband of Catherine Helena (Hunyadi) Skrzypiec. Paul was born in Torrington on March 4, 1929 to Adam and Eva Skrzypiec. 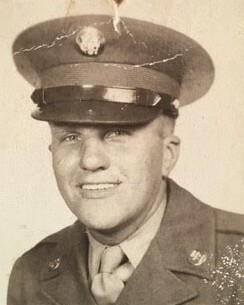 He served his country proudly in the U.S. Army during the Korean War. He worked at Plume Atwood as a millwright, and was on the Thomaston Volunteer Fire Department for 22 years. Paul is survived by his wife, Catherine “Kitty;” his son, James Paul Skrzypiec; his step-son, James G. Benway; and his nephew, Jeffery Skrzypiec. He was predeceased by his brother and his sister. Calling hours will be held on Tuesday, February 5 from 4 to 6 p.m. at Lyons Funeral Home, 46 High Street, Thomaston. A funeral home service with military honors will be held at 6 p.m. Burial will be held privately. In lieu of flowers, memorial contributions may be made in Paul’s name to Thomaston Volunteer Fire Department, 237 South Main Street, Thomaston, CT 06787.